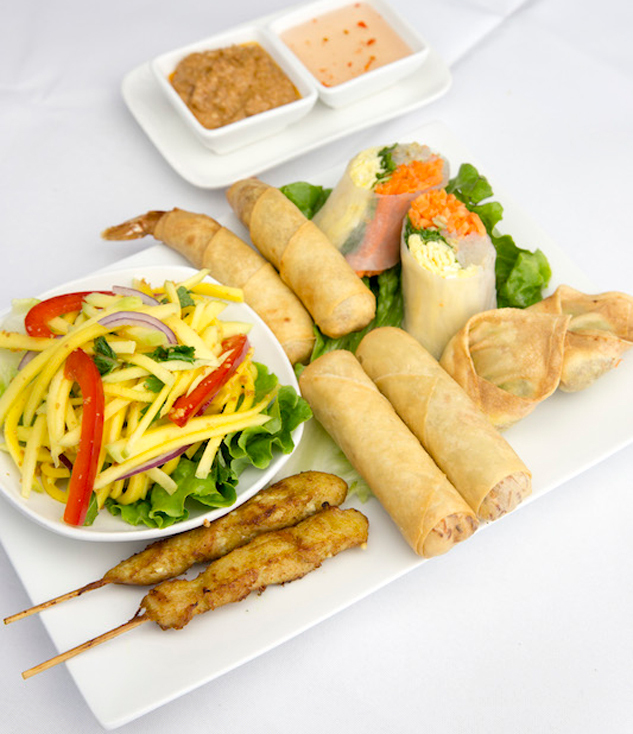 Thai Spring Rolls is located at 15461 Yonge St, Unit 6 in Aurora, just North of Yonge and Wellington. We offer free delivery on orders over $25.00 before taxes. Our specialties can be customized to suit our patrons’ preferences and taste. For those who love to add spice to their lives, we offer our delicious Thai curries from mild to intense heat. Our Thai cashew nut stir-fry is the perfect dish for customers with a sweet tooth. And of course, for those who are after a healthy, delicious snack rather than an exotic meal, we recommend our signature cold rolls. We would be happy to cater your next event, though we strongly suggest placing orders within a reasonable timeframe so that we can prepare our food for your delivery date. Please feel more than welcome to call us with any questions or concerns, or for details regarding the catering menu.